What is a Community Council? You can choose to come to the Royal Highland Show on any of the four days, as our tickets permit single entry to any one Show Day. The next meeting is on Thursday, If you would like to come along to voice a problem or would like to raise anything at this meeting, please let us know. 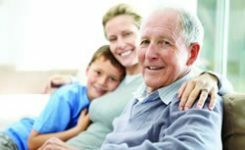 Changes to non-residential social care services in West Lothian have taken place following the introduction of a new Contributions Policy. West Lothian Council is working on proposals to bring forward a Memorial and Headstone Safety Policy. Ian Harvey has been appointed as permanent Headteacher of Winchburgh Primary School and Early Learning Centre. West Lothian Council is set to honour the achievements of Livingston dancer Ellie Fergusson. Bin collections in West Lothian are changing over the Good Friday, Easter Monday and May Day public holidays. West Lothian Council is set to accept an offer of a gift of woodland in the Bathgate Hills. Nearly £1 million is set to be invested in new sports facilities at Watson Park in Armadale. Sarah Burton has been appointed as Headteacher of Pumpherston and Uphall Station Community Primary School. Another meaningful vote: how important is the European Parliament election? Murieston Community Council | Powered by Mantra & WordPress.